Top of the Hub, originally uploaded by truublooo*. Boston is sometimes referred to as the Hub. 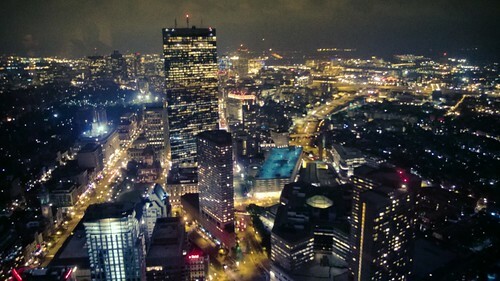 True to its name, this bar has a splendid night view of the city of Boston.